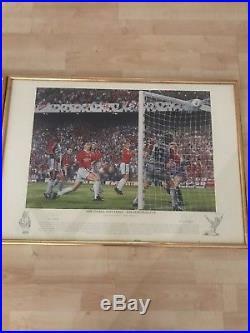 Manchester United Treble 1999 prints limited edition. 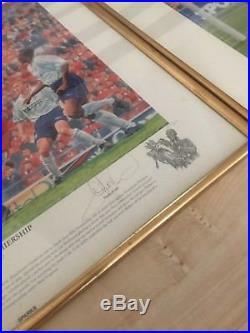 Pt 1- The Premiership (signed by Andy Cole). 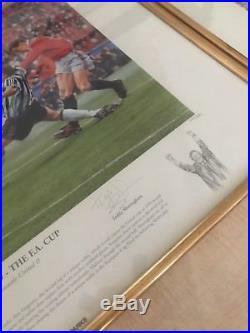 Pt 2- The F. Cup (signed by Teddy Sheringham). 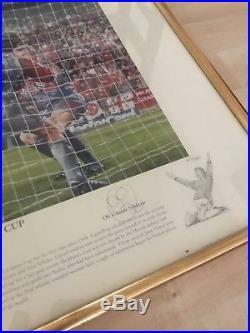 Pt 3- The European Cup (signed by Ole Gunnar Solskjaer). Signed by ALL GOALSCORERS. 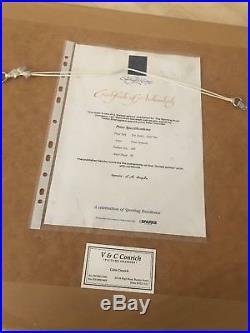 Certificate of authenticity at the back on all 3 prints. 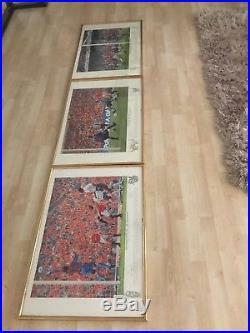 The item “Man United’Treble’ Set of 3 prints. Limited Edition Set. 1999 (signed)” is in sale since Saturday, March 17, 2018. 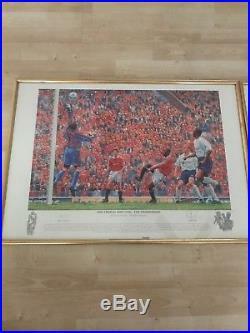 This item is in the category “Sports Memorabilia\Football Memorabilia\Prints/ Pictures”. The seller is “laureisaacso7″ and is located in Manchester. This item can be shipped to United Kingdom.